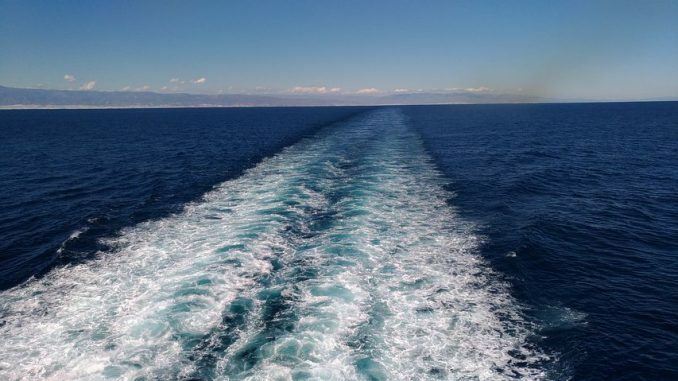 Transport Canada policy states that passengers travelling on BC Ferries are not allowed to remain in their cars on any enclosed vehicle decks. 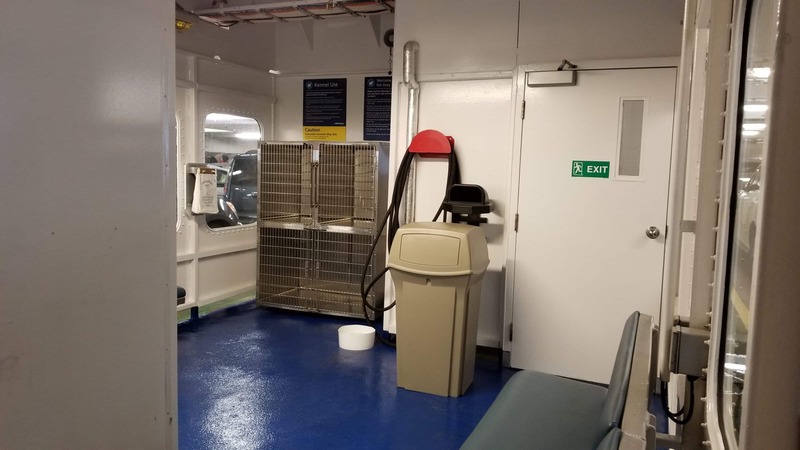 This means if you are parked on the lower vehicle deck of the ferry you will not be able to stay in your car with your dog – something many dog owners prefer to do. 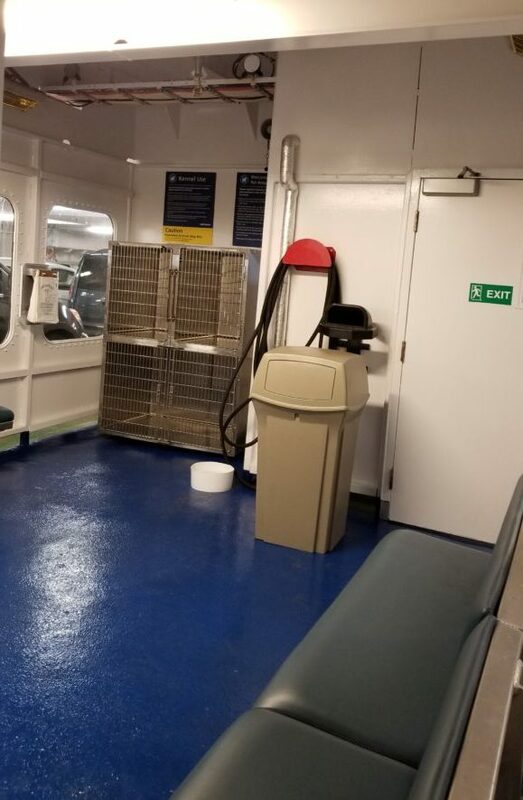 According to the information put out by BC Ferries, if you have a pet you can request to be placed on the top deck so you can remain in your vehicle and they will do their best to accommodate you. The reality is that vehicles with reservations are loaded on the top deck first, the remaining space is loaded with the vehicles without reservations, in the order they arrived at the terminal. They do not segregate vehicles-with-dogs in their own staging line at the terminals, so there’s no way to guarantee they’re loaded on the top deck. It’s understandable that BC Ferries wouldn’t want these vehicles to jump the first-come first-served queue by creating a staging line for vehicles-with-dogs at the terminals. However, by leaving vehicles-with-dogs in the same staging lines as the other first-come first-serve vehicles, their pet policy is basically useless, unless you happen to arrive at the terminal very early for your sailing and are placed near the front of the non-reservation staging lines. We all love to take our dogs with us when we travel and have done it enough that we don’t really think about the logistics anymore – we bring food and water for them, stop for bathroom breaks and walks to stretch their legs, and we never leave them in a hot vehicle when we have to run into a store. So what do you do when you’re loaded onto a ferry and you’re not allowed to stay in your vehicle with your dog? 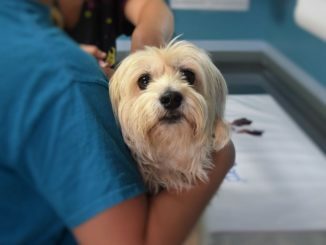 You could leave your dog in your vehicle with some water and the windows down a few inches but in the hot summer weather that’s not really any different from leaving your dog in a hot vehicle when you run into a store. Sure, you’re not parked in the sun, and there is usually a good breeze coming off the water after you’ve set sail, but those vehicle decks get just as hot. Leaving your dog unattended in your vehicle can be risky and dangerous. You cannot guarantee that leaving the windows down will keep your dog cool enough and leaving your windows down too far could allow negative interactions between your dog and other dogs or people walking by. All that metal the ship is built with absorbs a lot of heat. Add a whole bunch of vehicles which were baking in the summer sun at the terminal and/or have engines at full operating temperature, and you’ve got an uncomfortably hot enclosed space with little air flow until you set sail, especially on the lower deck which has no “windows” along the side and only gets its airflow from the front and rear loading ramps. If you do end up being loaded on the bottom deck and, therefore, unable to stay in your vehicle, the only way you can remain with your pet is by going to the open (top) vehicle deck. 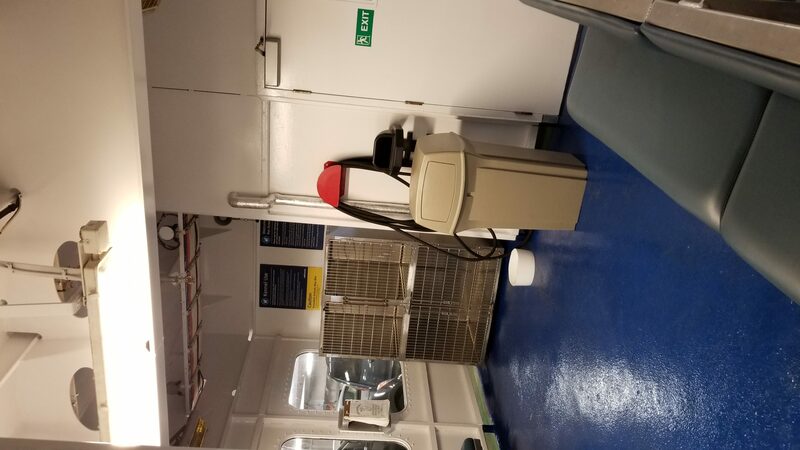 Here you can take you dog to the designated Pet Area, walk around the deck or hang out at the front, or rear, of the ship to enjoy the scenery. The designated Pet Area is a small room with a couple of benches and several kennels that you can put your pet in if you wish. The room is not large and if your pet does not do well around other animals this may not be a great choice for you. The catch to using this room if you were loaded on the enclosed (lower) vehicle deck, is that once you are there you are committed to staying. You are not allowed to take your pet back to your vehicle once the vessel is underway and you are not allowed on the passenger decks with your dog which, by the way, are the only decks with bathrooms (for humans). After considering the problems with BC Ferries pet policy in detail it is clear that some changes need to be made. A potential solution could be to designate one of the covered areas on the top passenger deck (the outdoor deck) as a dog friendly area. These areas have about 40 seats, are closed in on three sides, have plenty of windows for sight seeing and have bathrooms just inside the door. Years ago these areas were designated as smoking areas, when smoking was still allowed on the vessel. Today they’re used by passengers who want to get some fresh air and watch the scenery go by. It is a larger and more comfortable space than the current designated pet area, and would still leave plenty of outdoor space for other travellers to enjoy. We don’t have a picture of this area at the moment but we will be adding some in the next couple weeks. This solution would mean that owners would have to lead their dogs through the passenger deck to get to the stairwell leading to the outdoor deck (top deck). We suggest that a single route be designated from the vehicle decks up to the top deck. We envision doggy paw prints painted on the floor to clearly identify the route for dog owners and other travellers alike. 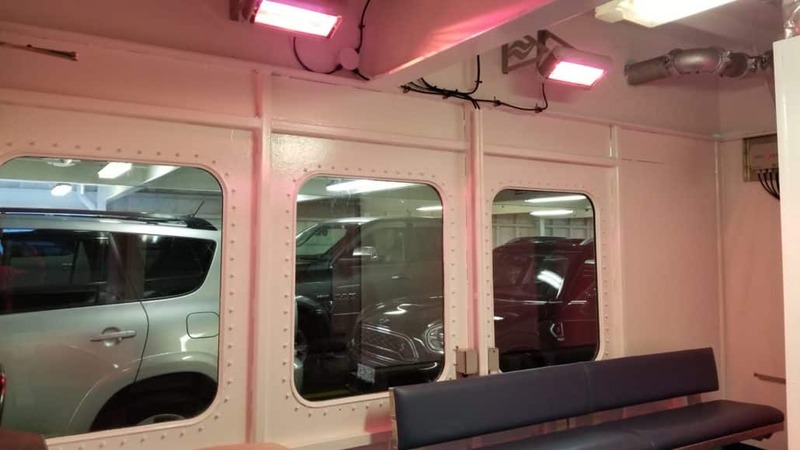 Other improvements could include a few heat lamps to help make the space comfortable year round (similar to what is currently installed in the car deck pet room), and some means of closing in the 4th wall to cut down the wind on stormy days. Another benefit to this solution is the bathrooms being so close. Dog owners are not unlike parents, they tend to bond together and support each other when necessary – it won’t be hard for an owner who is travelling alone to quickly make new friends and ask them to watch/take their dog while they run inside for a few minutes. In light of the volume of summer travellers with pets in tow, BC Ferries would do well to revisit their pet amenities and policies. In our opinion some relatively easy changes could be made which would make the experience much more pleasant for everyone. Anyone who has been stuck waiting for a ferry knows that you could be sitting in a large parking lot for an hour or more (sometimes much more). 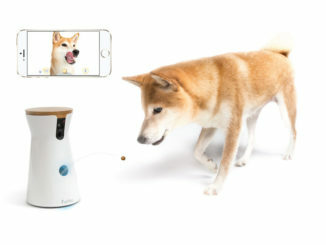 Chances are, sometime during that wait your dog is going to need a bathroom break. All the major ferry terminals have a “doggie spot” where your dog can relive themselves, but some are better than others. Of importance to note, while the major terminals do have a “doggie spot” they are definitely not set up with “human spots” for those who may be walking on to the ferry with their dog. After checking in at the terminal, walk-on passengers generally wait in a room until it is time to board the vessel. Unfortunately, if you are travelling with a dog, waiting in these areas is not allowed and you must, therefore, wait outside in the elements. This is fine, even preferable, on a sunny day but if the weather is poor (and let’s face it, in BC this is more often than not!) you are stuck waiting with no shelter until it is time to board the ferry. This terminal does not have an official off-leash area but there is a small width of grass that runs up both sides of the terminal which is suitable for taking your dog for a pee break. If you have a bit more time consider walking next door to Horseshoe Bay Park (just make sure you bring your ticket with you for re-entry!) 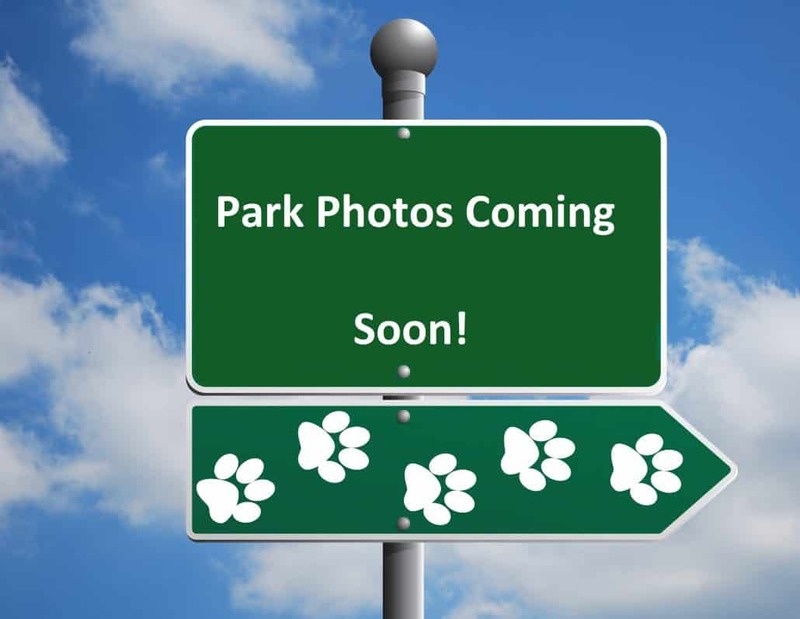 This park is on-leash only, but still a nice place to stretch your legs. 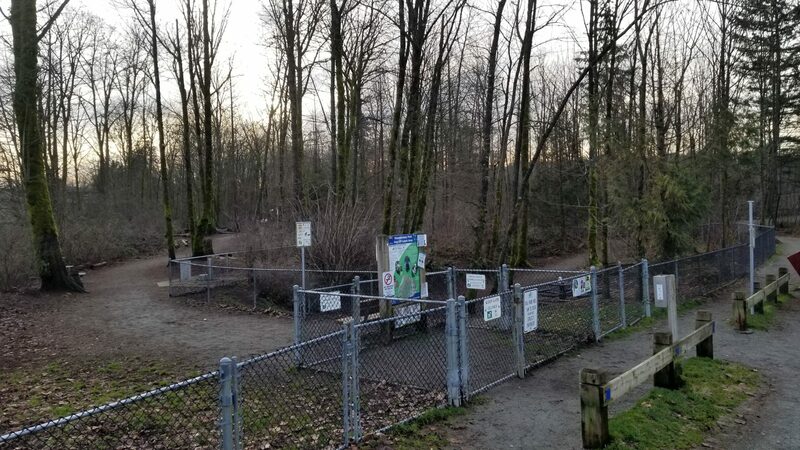 Other than circling the parking lot, there are not a lot of options for exercising your dog a the Departure Bay Ferry Terminal. There are two fenced dog areas next to the bathrooms (on the opposite side of the terminal from the main terminal building) but both are quite small. 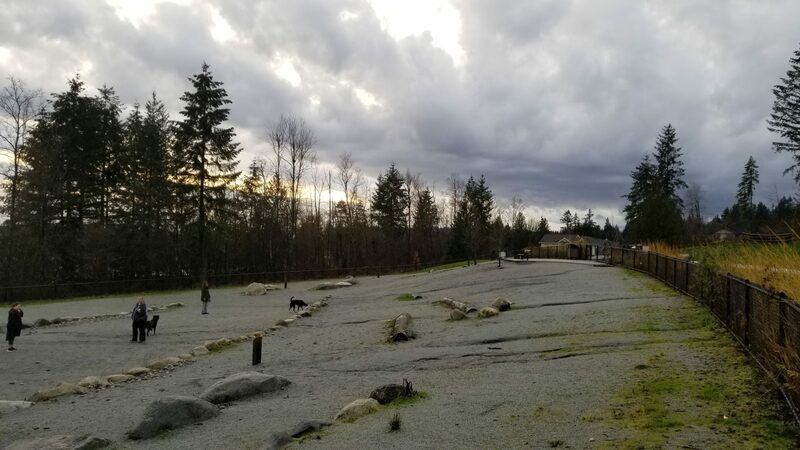 The dog areas are also covered with a large amount of gravel – every time I have been there, dog owners comment that their dog refuses to pee on the gravel. Avy is no different – for whatever reason, I have not been able to convince her to use this area. Probably one of my favourite terminals to wait at when I have Avy with me. 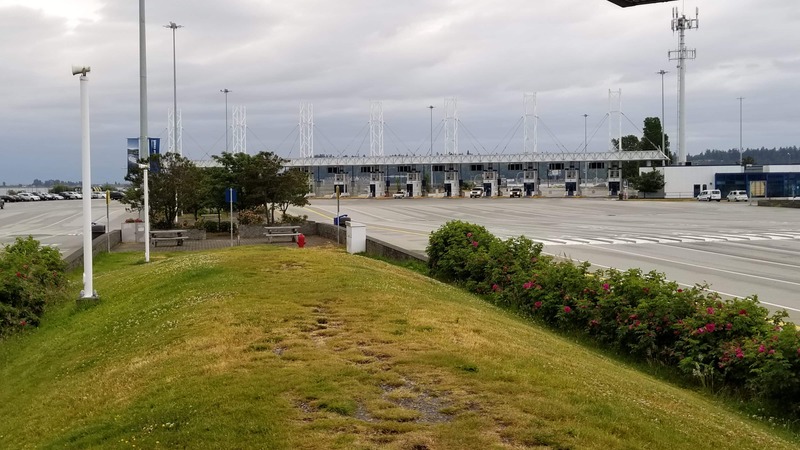 If you walk down towards the terminal building you can take a stroll around the side and behind it, where there are plenty of grassy areas for your dog to stretch its legs or take a bathroom break. It is also away from the playground and other crowded areas. Avy and I love to travel, hopefully as more dog owners make their opinions known, travel service providers will understand our challenges and see the value of investing in their amenities and policies to ensure the experience of travelling with your dog is seamless and stress free. Great article. Once or twice a year I take the ferry at Tsawwassen as a foot passenger with my lab. It’s very frustrating to pay as much as everyone else and have no amenities, well, a seat if I’m lucky and a bowl of water for my dog. You have an excellent solution! I expressed my views to BC Ferries during a survey…and yes we all need to let them know how we feel. Thanks for your reply Denise! Glad to hear that you let BC Ferries know how you feel. Hopefully with enough feedback we’ll be able to see some positive changes.